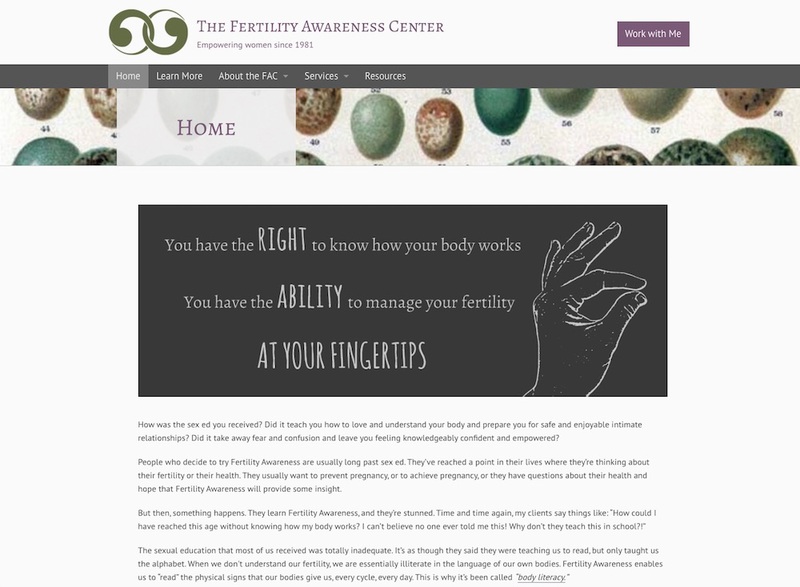 The Fertility Awareness Center is a teaching practice with a great focus…I’ll let you read about it on their site. The goal of the site is to educate potential clients and answer their questions to help them decide whether they want to sign up for instruction. To this end, we focused on developing an easy way to add FAQ questions and answers to the site, and a clear way of displaying them. We also added testimonials throughout the site for social proof. With a clean, modern look and a playful birds-and-bees theme, this site is a pleasure for potential clients to use.